AEESOC events and operations are made possible with the generous support of our corporate sponsors. CIET specializes in high quality energy management, energy efficiency training and certification programs. The certification programs include Building Operator Certification (BOC), Certified Measurement and Verification Professional (CMVP), Certified Energy Manager (CEM) and Certified RETScreen Expert (CRE). 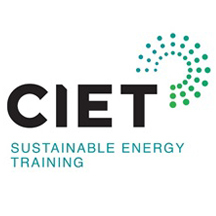 CIET also offers an Advanced Course on Building Recommissioning (from CanmetENERGY) and Dollars to $ense Energy Management Workshops (from NRCan), in addition to the development of customized energy training programs. CLEAResult is the largest energy efficiency implementer in North America with offices in over 70+ cities. In Canada, we operate with a local focus and apply a broad set of proven capabilities to meet the unique strategies and regulatory environments of our Canadian clients. Our team of more than 150 employees across Canada is complemented by over 2,500 energy professionals throughout North America who deliver insight, experience, technology and innovation to achieve advanced, measurable, cost-effective energy savings and carbon reduction program results. For nearly 30 years, our Canadian team has been designing, marketing and implementing energy programs for various stakeholders, including government agencies, utilities and energy retailers. Whether you measure success in carbon, kilowatts, gigajoules, cubic metres, dollars, customer satisfaction, or all of the above, we treat your goals as our own. Every day, in every way possible, we change the way people use energy. Belimo develops, produces and markets actuator solutions for controlling heating, ventilation and air conditioning systems. Actuators, control valves and sensors make up the company’s core business. Belimo’s aim is to offer efficient and energy optimizing solutions through research and market relevant innovation and rapid, customized execution. Incorporated June 1, 1987, Kilmer Environmental is a privately owned company serving the Ontario HVAC market. We are proud to represent industry-leading and energy saving product lines including semi-custom rooftop units, air handling units, heat recovery units, heat pumps, air filtration, humidification and dehumidification. Union Gas is a major Canadian natural gas storage, transmission and distribution company based in Ontario with over 100 years of experience and service to customers. Our distribution business serves about 1.5 million residential, commercial and industrial customers in more than 400 communities across northern, southwestern and eastern Ontario.